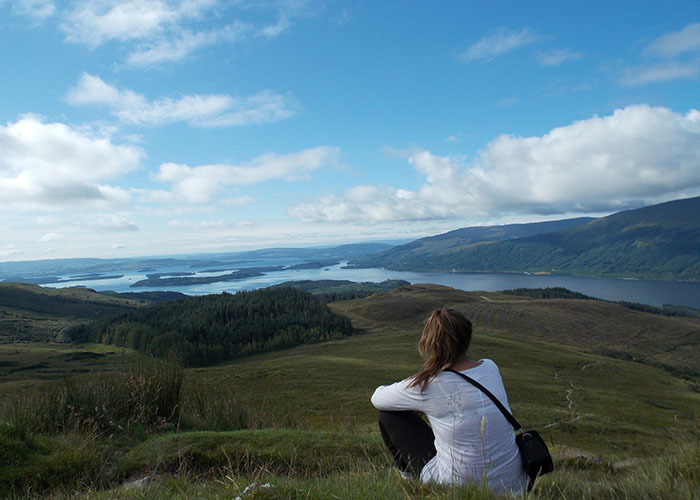 Ben Lomond mountain lies within the Loch Lomond and the Trossachs National Park, where you can practice water sports, kayaking, hiking or cycling among the several paths within the park. 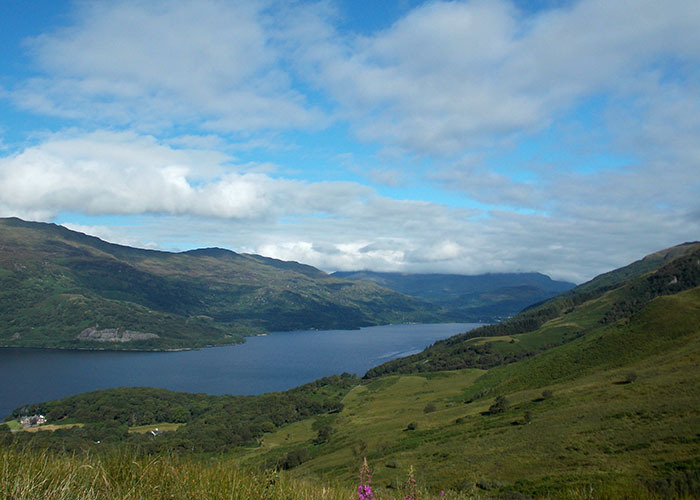 By the shore of the lake you can also visit picturesque village like Luss, on the opposite shore of Ben Lomond. Along the road that take you to the parking where we spent the night, there are several campsites, and a Ranger house where to get information and maps of the area. 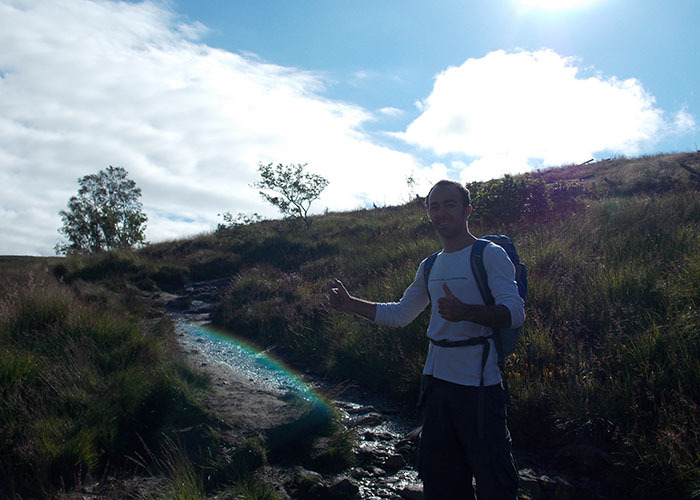 Ben Lomond, with its 974 meters of height, can be climbed by two footpaths, and linking those two, we can make a circular path, either way starting from the parking area. The red line that you can see in the map, is the path we took for ascending and descending. Continuing along the green line we will have a circular route, although, this stretch has more slope and a more irregular ground. The walk to the top is about 6 kilometers long, and the whole route, hiking to the top and back to the parking, will take us 5 hours aprox. 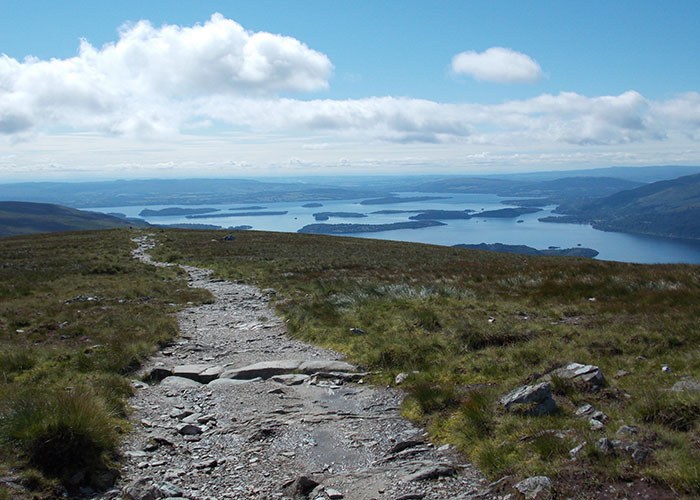 Within a few minutes after starting the ascent, we will see Ben Lomond lying in front of us, while at our back, small island seems to appear in Loch Lomond as we climb. On a clear day the views are beautiful. There are routes surrounding the entire lake, allowing us to walk or cycle around it, stopping in small villages and shelters, and spending several days in this beautiful environment. Please note that hillwalking when there is snow lying requires an ice-axe, crampons and the knowledge, experience and skill to use them correctly. 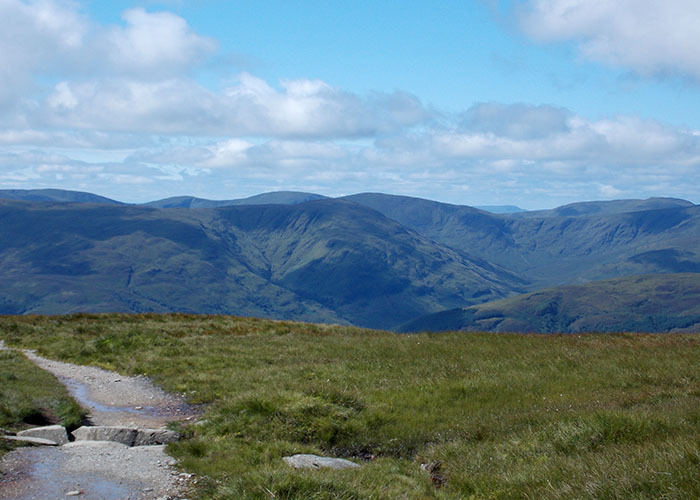 All route descriptions given here are for summer conditions.